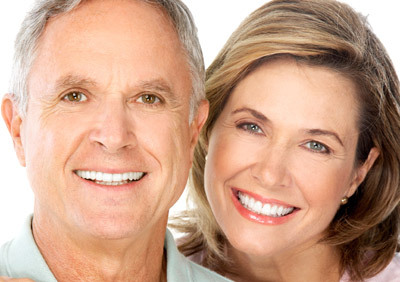 If your final restoration is a removable denture, you will need to come to as many as five office appointments (although it may be fewer) over the following several months. During these appointments, we will perform a series of impressions, bites and adjustments in order to make your new teeth, as well as the custom support bars, snaps, magnets, or clips that will secure your teeth to the implants. During this period, every effort will be made to ensure you have comfortable, temporary replacement teeth. As with natural teeth, it is important that you clean implant-supported restorations regularly with toothbrushes, floss and any other recommended aids. You should also visit your dentist several times each year for hygiene and maintenance. As with regular dentures and other tooth replacements, your implants and their associated components are subject to wear and tear and eventually will need repair, including clip replacement, relines, screw tightening, and other adjustments. Usually, a dental surgeon places the implant(s) and performs other necessary surgical procedures – your general dentist provides the temporary and permanent replacement teeth. Both doctors are involved in planning your dental treatment. Also, depending upon a variety of factors, different dental specialists may help with your dental care. Each patient is unique, and it is not possible for us to discuss every option and every contingency for treatment outcome. This website is intended to help you understand the general treatment options available to you. If your specific treatment options are not clear, please contact us. We will be happy to answer any questions you have about your dental care.